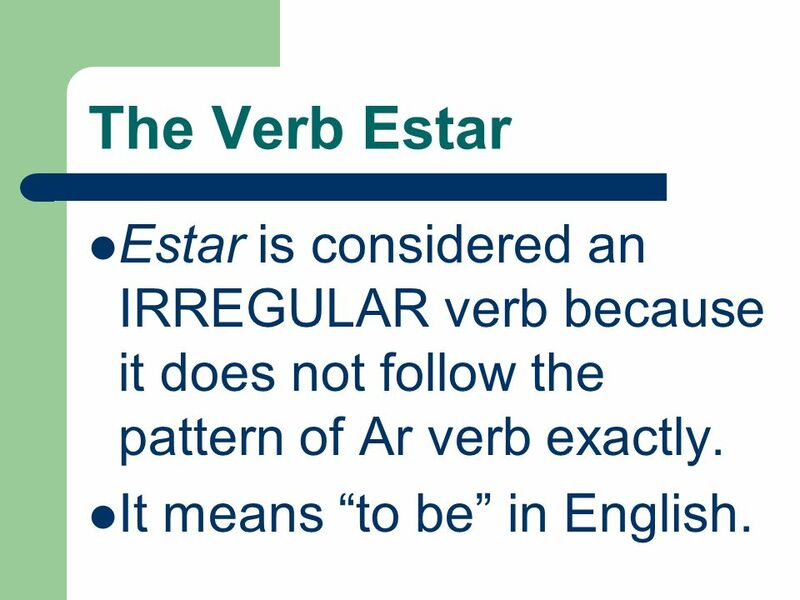 3 The Verb Estar Estar is considered an IRREGULAR verb because it does not follow the pattern of Ar verb exactly. 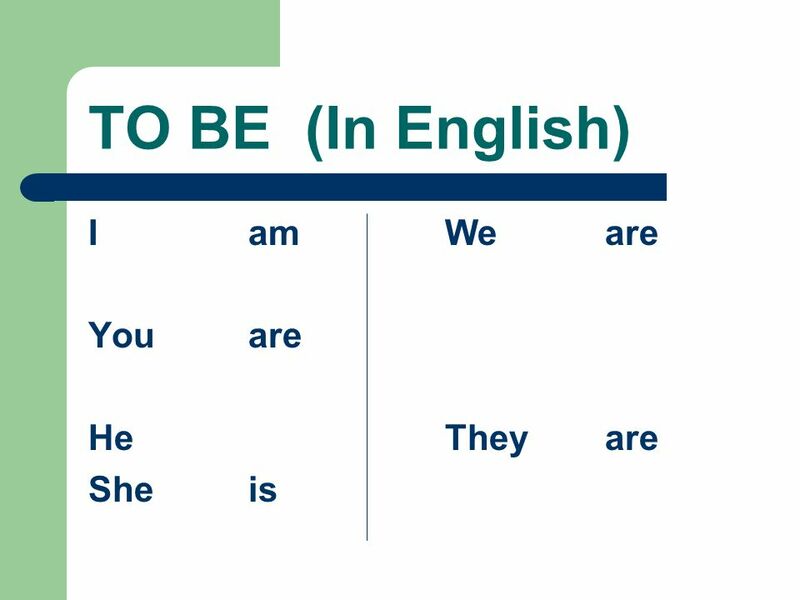 It means to be in English. 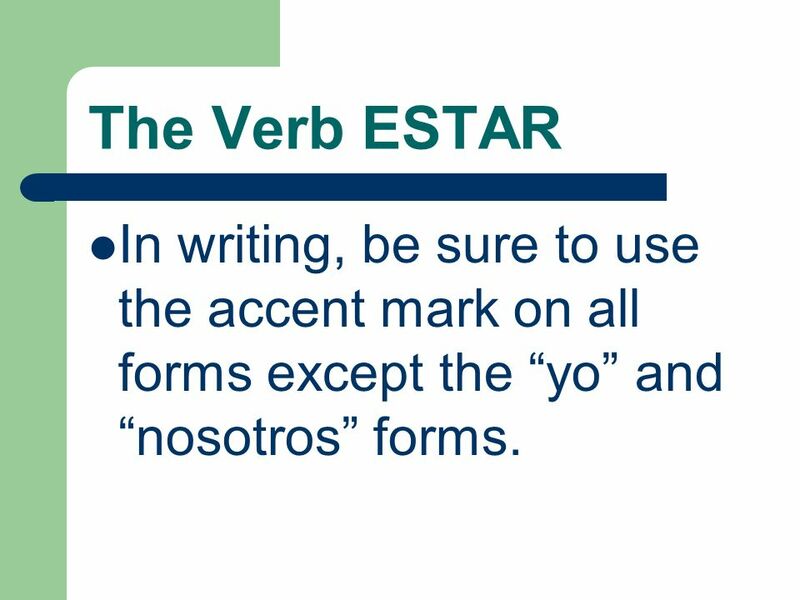 5 The Verb ESTAR In writing, be sure to use the accent mark on all forms except the yo and nosotros forms. 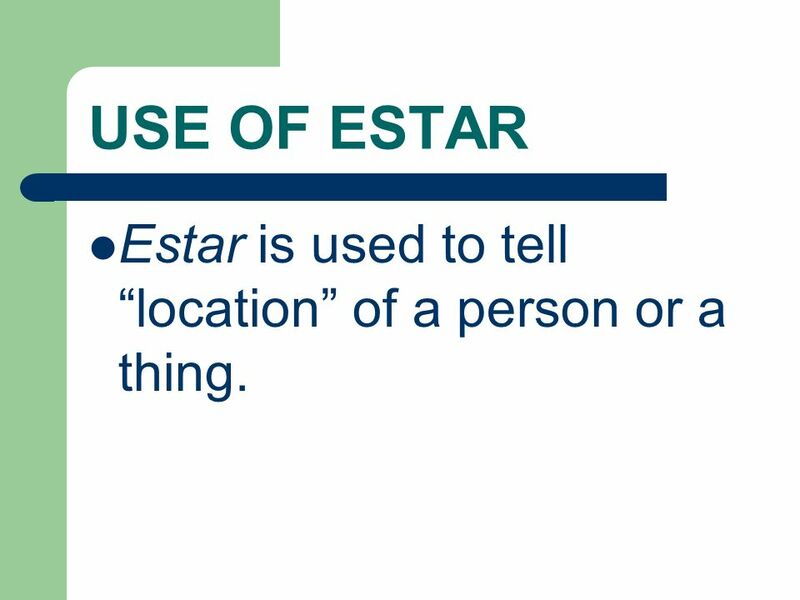 8 USE OF ESTAR Estar is used to tell location of a person or a thing. 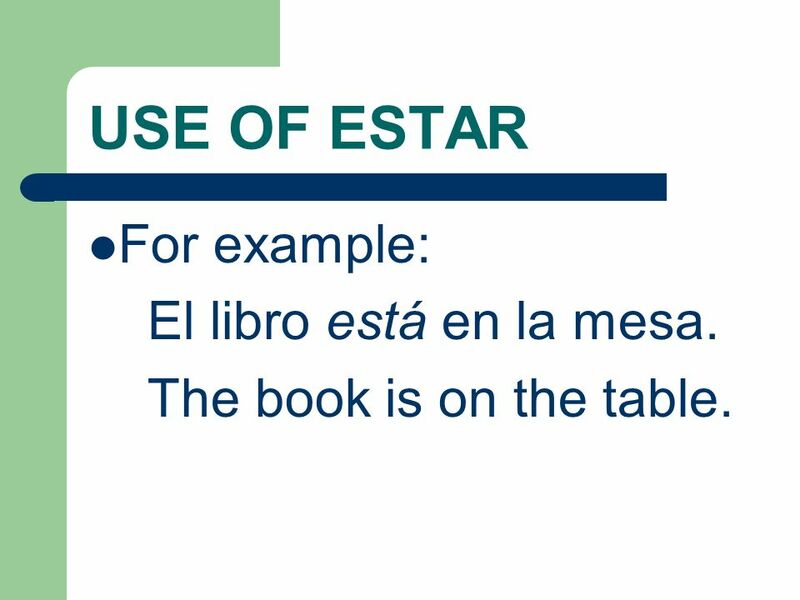 9 USE OF ESTAR For example: El libro está en la mesa. The book is on the table. 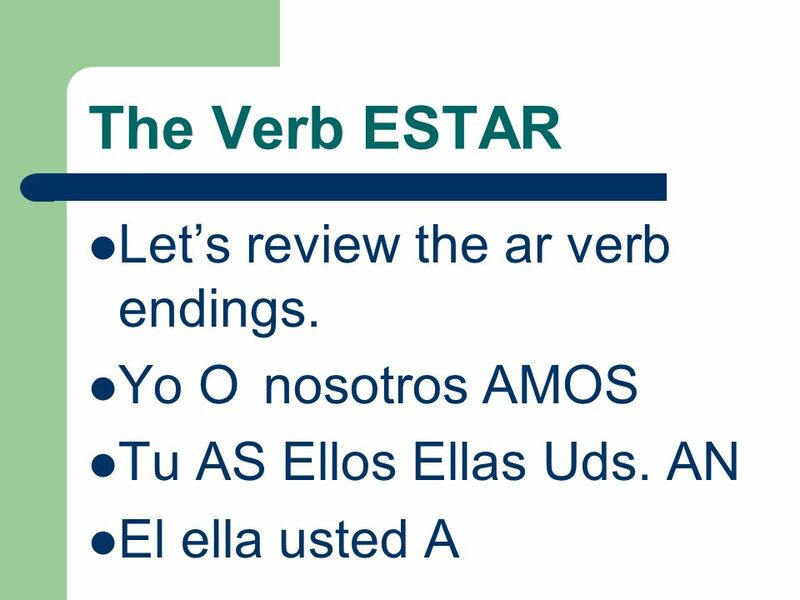 10 USE OF ESTAR Maria y Carlos están en clase. 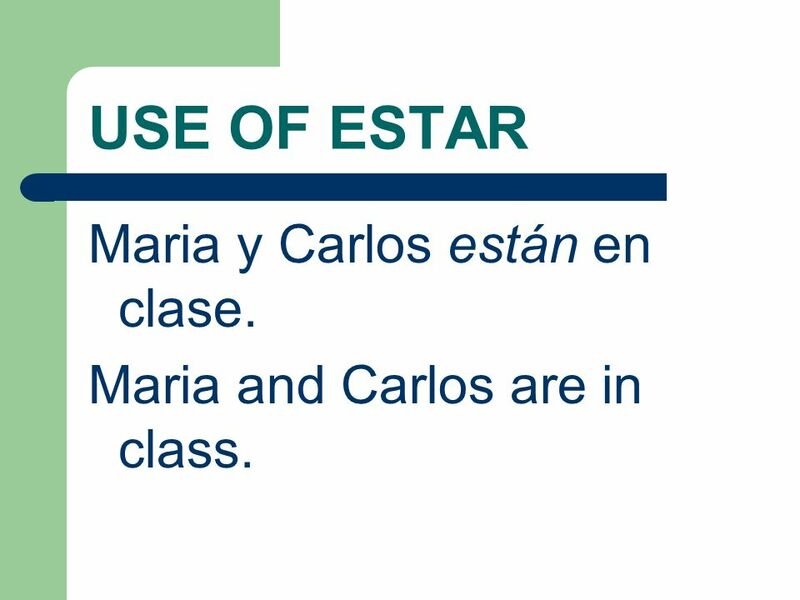 Maria and Carlos are in class. 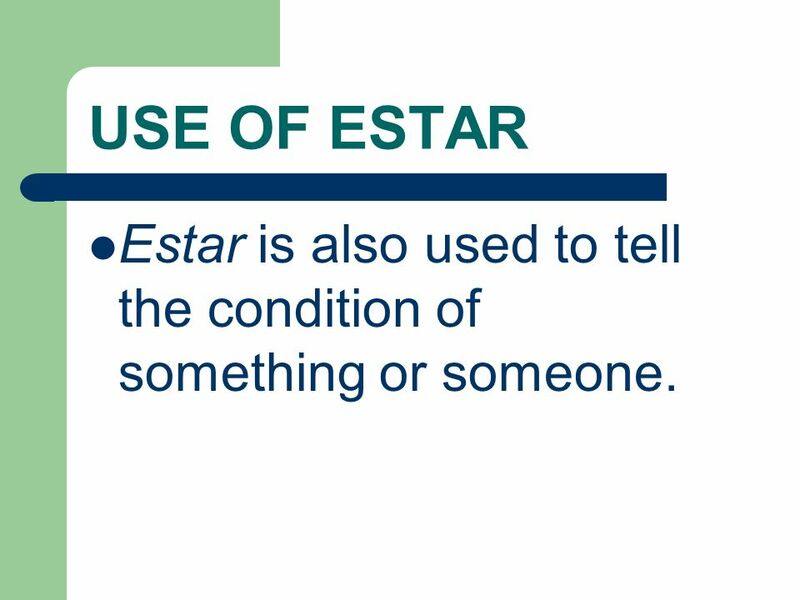 11 USE OF ESTAR Estar is also used to tell the condition of something or someone. 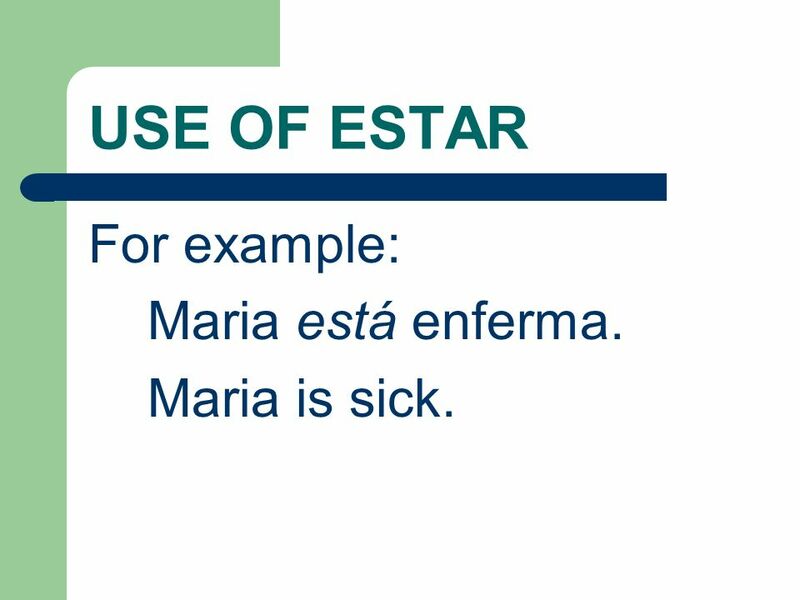 12 USE OF ESTAR For example: Maria está enferma. Maria is sick. 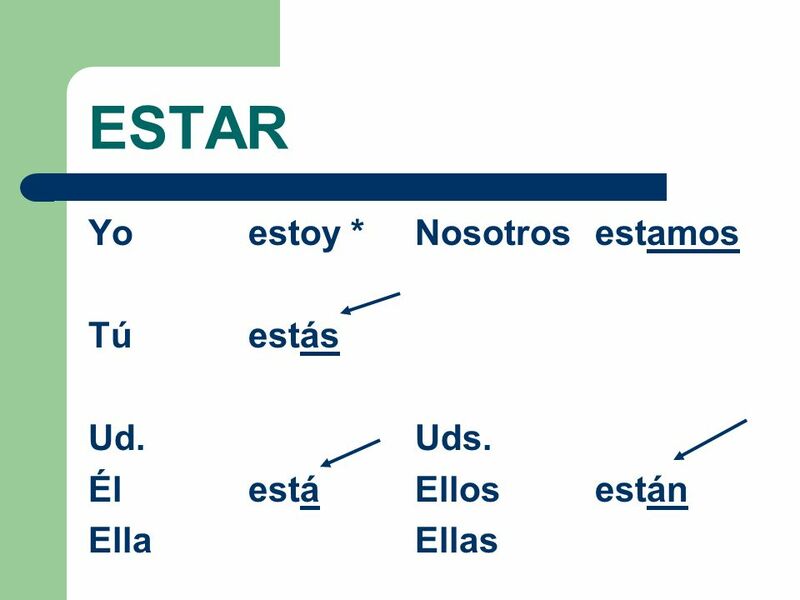 13 USE OF ESTAR Elisa y tú están ocupados. Elisa and you are busy. 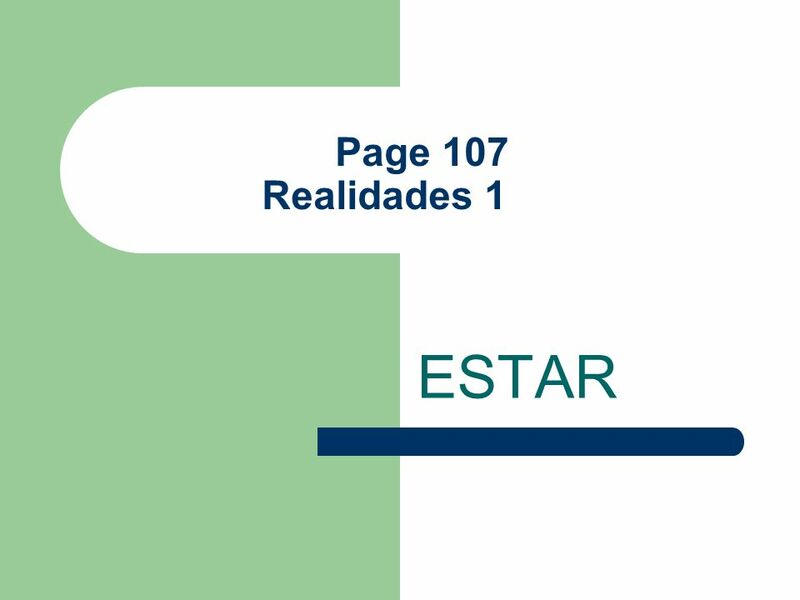 Descargar ppt "Page 107 Realidades 1 ESTAR The Verb Estar Estar is considered an IRREGULAR verb because it does not follow the pattern of Ar verb exactly. It means."